St. Mary's Episcopal Cathedral, located near downtown Memphis, Tennessee, is the cathedral church of the Episcopal Diocese of West Tennessee and the former cathedral of the old statewide Episcopal Diocese of Tennessee. 1.1.2 Martin Luther King, Jr. The Mission Church on Poplar Street. This Church which has been erected by the pious zeal of the ladies belonging to the Episcopal Church of this city was organized Thanksgiving Day by the election of wardens and vestrymen. 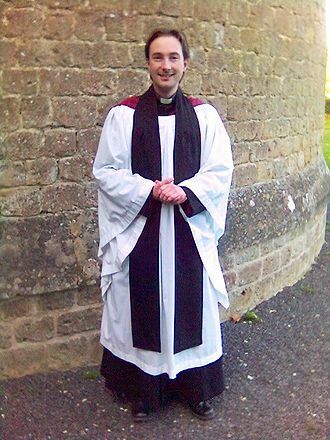 The Church is called St. Mary's, and the Reverend Richard Hines has been chosen rector. Mr. Hines has arrived in the city and will preach at St. Mary's this morning. The seats are all free, the expenses of the Church are defrayed by the offering of the congregation. Unlike its mother church, Calvary, this new parish would not have designated family pews or charge rent for them, enabling less affluent Memphians to regularly attend Episcopal services for the first time. Community of St. Mary (Episcopal) founded in New York, NY, 1865 as the "Sisterhood of St. Mary"
Today, a number of St. Mary's Cathedral members (men and women, lay and ordained) are also Associates of the Community of St. Mary: people who commit themselves to follow a personal "Rule of Life." St. Mary's was officially consecrated as a parish church on Ascension Day, May 13, 1858, by the Rt. Rev. James Hervey Otey, the first Bishop of Tennessee, with assistance from the rectors of Calvary and Grace (Memphis), St. Luke's (Jackson), St. Mary's (Covington), St. James (Bolivar), and by the new parish's own rector, Richard Hines, who would remain there until 1871. Thirteen years after its founding, St. Mary's became the first Episcopal cathedral in the American South. While the 1866 Journal of the Proceedings of the Diocese of Tennessee's 34th convention and the national Episcopal Church's 1868 Journal of the General Convention both list St. Mary's as a cathedral church, the official transition from parish to "bishop's church" was January 1, 1871. At the time, only a handful of Episcopal dioceses had adopted the English-style cathedral system, mostly in the Midwest and the western frontier, where semi-itinerant bishops required more tangible ecclesiastical bases from which to administer sparse, but expansive, new dioceses and missionary territories. 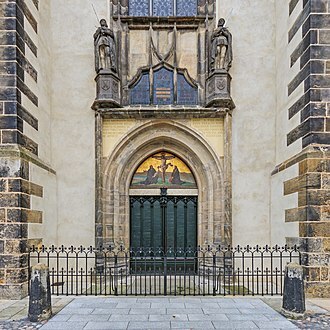 While the Episcopal Church was once a part of the Church of England, the American dioceses were slow to designate official cathedrals in keeping with the Protestant or Reformed character of its members. But as the Oxford Movement's "high church" or Roman Catholic-style liturgy began to take root in the United States, Episcopal cathedrals began to appear. With a devoted high churchman as its bishop (Quintard), the Diocese of Tennessee became an early adopter of this trend. 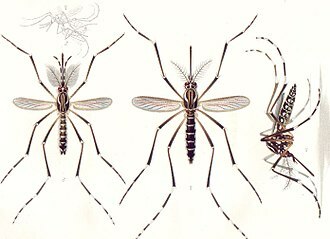 Memphis suffered periodic epidemics of yellow fever, a mosquito-borne hemorrhagic viral infection (related to dengue fever and Ebola) throughout the 19th century. 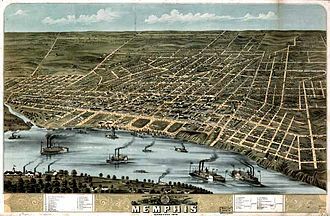 The worst of the epidemics occurred in the summer of 1878, when 5,150 Memphians died and the fast-growing city lost its charter due to depopulation. Five years earlier, a group of Episcopal nuns from the recently formed Sisters of St. Mary (now the Community of St. Mary) were invited by Bishop Quintard to take over operation of the St. Mary's School for Girls, now called St. Mary's Episcopal School, which had been relocated to the cathedral site. When the 1878 epidemic struck, a number of priests and nuns (both Protestant and Catholic), doctors—and even a bordello owner, Annie Cook—stayed behind to tend to the sick and dying, despite the high risk of contracting the disease, which often resulted in a painful death. The Episcopal nuns' superior, Sister Constance, three other Episcopal nuns, and two Episcopal priests are known throughout the Anglican Communion as "Constance and Her Companions" or, informally, the "Martyrs of Memphis". Added to the Episcopal Church's Lesser Feasts and Fasts in 1981, their feast day (September 9) commemorates their sacrifices. Sister Constance (née Caroline Louise Darling, born Medway, Massachusetts, 1846), superior of the work at Memphis, headmistress of St. Mary's School for Girls. The Rev. Charles Carroll Parsons, rector of Grace Church, Memphis; former U.S. Army artillery commander, West Point alumnus and professor; served with classmate Lt. Col. George Armstrong Custer in Kansas, defense counsel in Custer's 1867 court-martial trial. The second historic/tragic event that St. Mary's Cathedral attempted to mitigate was the 1968 assassination of Martin Luther King, Jr. The day after King's death, Memphis clergy from many churches and synagogues met at the cathedral. In an impromptu move, Dean William Dimmick (later Bishop of Northern Michigan and co-author of certain rites in the 1979 Book of Common Prayer) took up the cathedral's processional cross and led the assembled ministers down Poplar Avenue to City Hall to petition Mayor Henry C. Loeb to end the labor standoff that King was in town to help negotiate. (The sanitation workers were protesting unsafe conditions, abusive white supervisors, low wages and the city government's refusal to recognize their union). Nearly half of the cathedral's membership eventually left in protest of Dimmick's gesture of racial unity. Like Constance and her companions, King was added to the Episcopal Church's Calendar of Saints, where he is commemorated on April 4 (or, as an alternate date, January 15). Elsewhere in the Anglican Communion, King is memorialized with a statue over the western entrance of Westminster Abbey, along with nine other 20th-century martyrs. 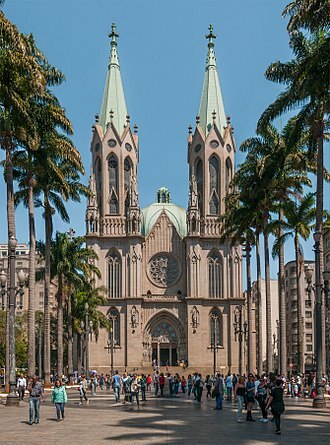 Construction of its present Gothic Revival structure began in 1898 and was completed in 1926, when the parenthetical phrase "(Gailor Memorial)" was appended to the cathedral's formal name in honor of the Rt. Rev. Thomas Frank Gailor, Bishop of Tennessee and president of the National Council of the Episcopal Church. The Episcopal Diocese of Tennessee spanned the entire state until 1982, when it began a long-considered partition based on the State of Tennessee's three Grand Divisions. The Episcopal Diocese of West Tennessee was created in 1982, with St. Mary's retained as its cathedral church. The Continuing Diocese of Tennessee was again split in 1985 when the Episcopal Diocese of East Tennessee was formed. Ironically, while St. Mary's was the South's first Episcopal cathedral, Tennessee's other two cathedrals, Christ Church (Nashville) and St. John's in Knoxville are both older parishes, having been organized in 1829 with the original formation of the Diocese of Tennessee. North transept: This stone is part of one of the columns of the balustrade that surrounded the ancient Pool of Bethesda. Brought from Jerusalem by Bishop Thomas F. Gailor, June 1, 1928. "Sisters of St. Mary Window"
Detail from the "Baptism Window"
Sisters' Chapel (1888), the oldest structure in the Cathedral complex. ^ "Clergy & Staff". stmarysmemphis.org. ^ Davis, John H. (1958). St. Mary's Cathedral (1858-1958). Chapter of St. Mary's Cathedral. (Subscription required (help)). ^ "Fire Destroys Diocesan Offices in West Tennessee" (Press release). Episcopal News Service. September 14, 2000. ^ Harkins, John E. (2008). Historic Shelby County: An Illustrated History. HPN Books. 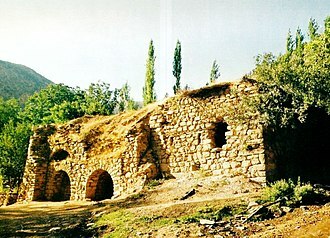 p. 181. ISBN 978-1893619869. ^ "About the Diocese". Episcopal Diocese of Tennessee. Retrieved 2017-08-03. 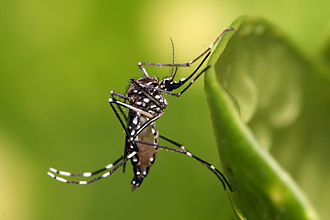 Ten Decades of Praise: The Story of the Community of Saint Mary during Its First Century, chapter 8: "Planting"
A History of the Yellow Fever: The Yellow Fever Epidemic of 1878, in Memphis, Tenn.
"All Saints" sermon, p. 3, by the Rev. Joanna Seibert, St. Margaret's Episcopal Church, Little Rock, Arkansas, November 3, 2002. Historic Processional Cross to Lead MLK-Day March, 2001 press release, Churches Uniting in Christ. St. Mary's Cathedral 1858-1958, John H. Davis , published by the Chapter of St. Mary's Cathedral (Gailor Memorial), Memphis, Tennessee. The Oxford Movement was a movement of High Church members of the Church of England which eventually developed into Anglo-Catholicism. They thought of Anglicanism as one of three branches of the One, Holy and Apostolic Church, the movements philosophy was known as Tractarianism after its series of publications, the Tracts for the Times, published from 1833 to 1841. Tractarians were referred to as Newmanites and Puseyites after two prominent Tractarians, John Henry Newman and Edward Bouverie Pusey. Other well-known Tractarians included John Keble, Charles Marriott, Richard Froude, Robert Wilberforce, Isaac Williams, in the nineteenth century, in an attempt to broaden its reach, the Church of England assumed a latitudinarian perspective. John Keble criticised these proposals as National Apostasy in his Assize Sermon in Oxford in 1833 and their interest in Christian origins caused some of them to reconsider the relationship of the Church of England with the Roman Catholic Church. 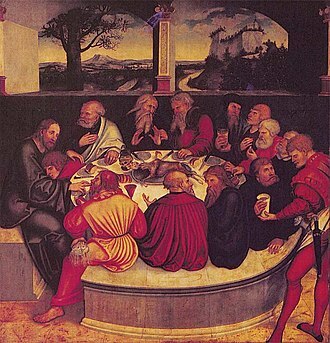 The Tractarians postulated the Branch Theory, which states that Anglicanism along with Orthodoxy, Tractarians argued for the inclusion of traditional aspects of liturgy from medieval religious practice, as they believed the church had become too plain. Newmans eventual reception into the Roman Catholic Church in 1845, followed by Henry Edward Manning in 1851, had an effect upon the movement. Apart from the Tracts for the Times, the group began a collection of translations of the Church Fathers, the collection eventually comprised 48 volumes, the last published three years after Puseys death. They were issued through Rivingtons company with the imprint of the Holyrood Press, the main editor for many of these was Charles Marriott. A number of volumes of original Greek and Latin texts was published, One of the main contributions that resulted from Tractarianism is the hymnbook entitled Hymns Ancient and Modern which was published in 1861. 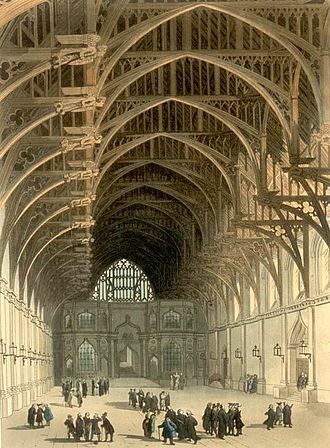 The Oxford Movement was criticised for being a mere Romanising tendency, the Oxford Movement was criticised for being both secretive and collusive. 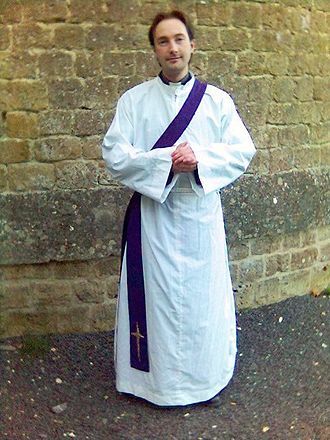 The Oxford Movement resulted in the establishment of Anglican religious orders and it incorporated ideas and practices related to the practice of liturgy and ceremony to incorporate more powerful emotional symbolism in the church. 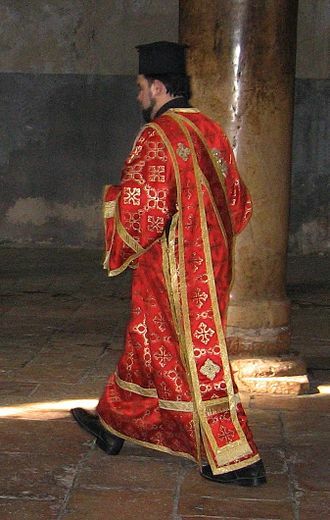 In particular it brought the insights of the Liturgical Movement into the life of the Church and its effects were so widespread that the Eucharist gradually became more central to worship, vestments became common, and numerous Roman Catholic practices were re-introduced into worship. This led to controversies within churches that resulted in court cases, partly because bishops refused to give livings to Tractarian priests, many of them began working in slums. From their new ministries, they developed a critique of British social policy, the more radical Catholic Crusade was a much smaller organisation than the Oxford Movement. 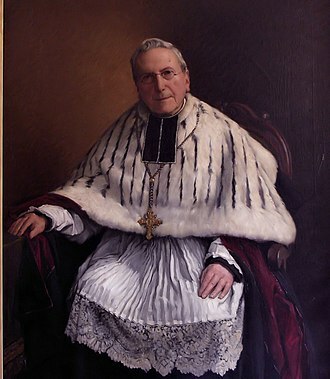 Anglo-Catholicism – as this complex of ideas and organisations became known – had a significant influence on global Anglicanism, concerns that Tractarianism was a disguised Roman Catholic movement were not unfounded, Newman believed that the Roman and Anglican churches were wholly compatible. 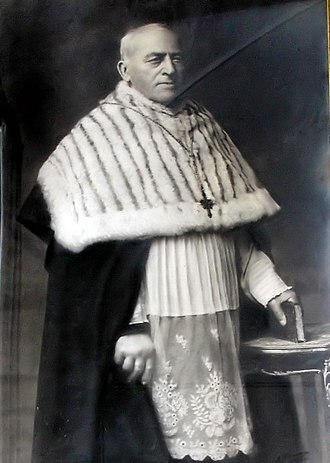 He was received into the Roman Catholic Church in 1845 and was ordained a priest of the Church the same year. Bolivar is a city in Hardeman County, United States. As of the 2010 census, the city population was 5,417 and it is the county seat of Hardeman County. The town was named for South American revolutionary leader Simón Bolívar, Bolivar is served by William L. Whitehurst Field. The first settlers came to the area between 10,000 -7,000 BC, the first European people to come to Hardeman County looking for permanent residence came in 1819-20. They came from middle Tennessee, South Carolina, North Carolina, the first town in Hardeman County was established in 1823 on the banks of the Big Hatchie, the Indian name for the river, and was called Hatchie Town. The new site, the county seat, bore the name Hatchie until by Act of the Tennessee State Legislature, on October 18,1825, Bolivar was named for General Simón Bolívar, the South American patriot and liberator. According to the United States Census Bureau, the city has an area of 8.5 square miles. As of the census of 2000, there were 5,802 people,2,161 households, the population density was 684.4 people per square mile. There were 2,352 housing units at a density of 277.4 per square mile. The racial makeup of the city was 42. 33% White,56. 39% African American,0. 07% Native American,0. 50% Asian,0. 02% Pacific Islander,0. 07% from other races, and 0. 62% from two or more races. Hispanic or Latino of any race were 0. 60% of the population,30. 0% of all households were made up of individuals and 14. 5% had someone living alone who was 65 years of age or older. The average household size was 2.45 and the family size was 3.03. In the city, the population was out with 26. 7% under the age of 18,9. 0% from 18 to 24,25. 6% from 25 to 44,21. 5% from 45 to 64. The median age was 37 years, for every 100 females there were 83.0 males. For every 100 females age 18 and over, there were 75.1 males, the median income for a household in the city was $28,651, and the median income for a family was $35,298. Males had an income of $30,442 versus $21,544 for females. The per capita income for the city was $14,973, about 19. 5% of families and 23. 2% of the population were below the poverty line, including 28. 7% of those under age 18 and 28. 6% of those age 65 or over. Covington is a city in central Tipton County, Tennessee. Covington is the largest city and county seat of Tipton County, the city is located in West Tennessee, a few miles from the Mississippi River. 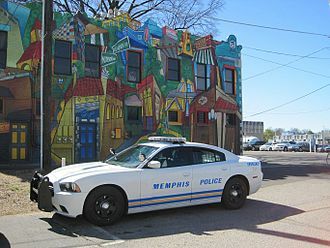 The citys population was 9,038 at the time of the 2010 U. S. Census, located about 42 miles northeast of Memphis, Covington is part of the Memphis, Tennessee Metropolitan Area. The Covington area was inhabited by Native Americans of various tribes. Evidence of such trading has been found in materials and items excavated from numerous archeological sites, Tipton County is one of five present-day counties of the State of Tennessee that border the Mississippi River. The first Europeans to explore this area were attached to the expedition of the French Canadians Jacques Marquette. 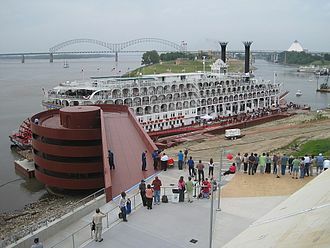 This expedition went down the Mississippi from present-day Wisconsin to the mouth of the Arkansas River, the Arkansas River represents part of the border between present-day Arkansas and Mississippi. It is likely that de Soto and his men passed near here circa 1541 and this became the primary commodity crop across the South in the 19th century, generating great wealth for many large planters. African-American slaves were brought to Western Tennessee by planters relocating here, West Tennessee was the center of large-scale slavery in Tennessee, and Memphis had a major slave market. Planters and farmers in Middle Tennessee held slaves, although in fewer number, farmers in the eastern part of the state mostly developed small subsistence farms and held few slaves. During the Civil War, Union Army and Union Navy fought to control of strategic areas along the Mississippi River in order to control its traffic. The Confederate Army resisted, but the Union Army defeated and occupied forces in Tipton and other counties of Tennessee, the war ended early in the Covington area, and Tennessee was occupied by Union forces from 1862. Starting in the 1870s during the Reconstruction era, the legislature supported railroad construction in the region. The Memphis and Paducah Railroad completed its tracks to Covington in July 1873, the first telegraph line between Memphis and Covington was completed in 1882. The vestry was a meeting of the parish ratepayers chaired by the incumbent of the parish, originally held in the parish church or its vestry, from which it got its name. The vestry committees were not established by any law, but they evolved independently in each parish according to local needs from their roots in medieval parochial governance, by the late 17th century they had become, along with the county magistrates, the rulers of rural England. The original unit of settlement among the Anglo-Saxons in England was the tun or town, the inhabitants met to carry out this business in the town moot or meeting, at which they appointed the various officials and the common law would be promulgated. Later with the rise of the shire, the township would send its reeve and four best men to represent it in the courts of the hundred and shire. However, this independence of the Saxon system was lost to the township by the introduction of the feudal manorial Court Leet which replaced the town meeting. The division into ancient parishes was linked to the system, with parishes. This new meeting was supervised by the parish priest, probably the best educated of the inhabitants, as the complexity of rural society increased, the vestry meetings pragmatically acquired greater responsibilities, and were given the power to grant or deny payments from parish funds. Although the vestry committees were not established by any law, and had come into being in an unregulated ad-hoc process and this was convenient when they were the obvious body for administering the Edwardian and Elizabethan systems for support of the poor on a parochial basis. 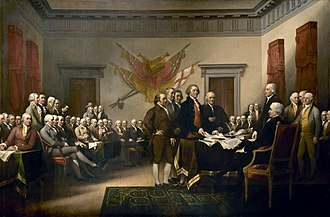 This was their first, and for centuries their principal. With this gradual formalisation of civil responsibilities, the ecclesiastical parishes acquired a dual nature, the vestry assumed a variety of tasks. It became responsible for appointing officials, such as the parish clerk, overseers of the poor and scavengers, constables. At the high point of their powers, just prior to removal of Poor Law responsibilities in 1834 and this level of activity had resulted in an increasing sophistication of administration. The Commercial Appeal is a daily newspaper of Memphis and its surrounding metropolitan area. It is owned by the Gannett Company, its owner, The E. W. Scripps Company, owned the former afternoon paper, the Memphis Press-Scimitar. The 2016 purchase by Gannett of Journal Media Group effectively gave it control of the two papers in western and central Tennessee, uniting the Commercial Appeal with Nashvilles The Tennessean. The Commercial Appeal is a morning paper. It is distributed primarily in Greater Memphis, including Shelby and Tipton counties in Tennessee and DeSoto and these are the contiguous counties to the city of Memphis. In 1994, The Commercial Appeal won a Pulitzer Prize for Editorial Cartooning by Michael Ramirez, the papers name comes from a 19th-century merger between two predecessors, the Memphis Commercial and the Appeal. The Appeal had a history during the American Civil War. On June 6,1862, the presses and plates were loaded into a boxcar and moved to Grenada, the press was hidden and saved, and publication resumed in Memphis, using it, on November 5,1865. Another early paper, The Avalanche, was incorporated in the 19th century, the paper is properly The Commercial Appeal and not the Memphis Commercial Appeal as it is often called, although the predecessor Appeal was formally the Memphis Daily Appeal. The paper in the 1940s had a well known columnist Paul Flowers who wrote the Greenhouse column, the Commercial Appeal had a mixed record on civil rights. Despite its Confederate background the paper won a Pulitzer Prize in 1923 for its coverage, from 1916 to 1968, the paper published a cartoon called Hambones Meditations. The cartoon featured a man, that many African Americans came to regard as a racist caricature. In 1917, the published the scheduled time and place for the upcoming Lynching of Ell Persons. During the Civil Rights Movement, the paper generally avoided coverage and it did take a stance against pro-segregation rioters during the Ole Miss riot of 1962. However, its owner, Scripps-Howard, exerted a generally conservative, the paper opposed the Memphis sanitation strike, portraying both labor organizers and Martin Luther King Jr. as outside meddlers. Displayed in the west transept of St. Mary's Episcopal Cathedral in Memphis, Tennessee, this stone is part of one of the columns of the balustrade that surrounded the ancient Pool of Bethesda. Brought from Jerusalem by Thomas F. Gailor, June 1, 1928. Parish chest in St Mary's Church, Kempley, Gloucestershire. Destroyed dormitory building in February 2008. William White (Bishop of Pennsylvania). The original plan for Memphis, as surveyed in 1819. Bishop Quintard, wearing the cross of the English Order of the Hospital of St. John of Jerusalem, which he served as a chaplain for 25 years. The original St. Mary's Cathedral building, Memphis. Church of the Holy Communion in North Dallas, Texas. Seat of Bishop Ray Sutton. Ad copy agents take orders for advertisements in the Old Commercial Appeal Building, 495 Union Avenue, Memphis, in 1961. Five of the sisters in Malawi.